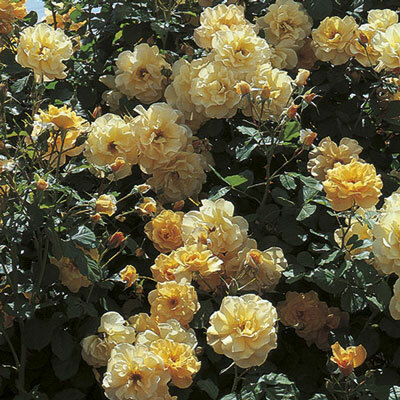 Never been able to brag about rich fragrance, great hardiness and super disease resistance (especially black spot) in a Climber with this apricot gold color? But things do change. And the bragging list could go on to include strong vigor, great shiny green foliage and a free-flowering habit that starts from the very first year. Unbeatable. Blooms on new and old wood. Great performer in most climates. Best flower color in cooler weather.